Fresh Alaska Halibut, Oregon shrimpmeat & Dungeness crab! We have seafood platters, smoked salmon, all the fixins for cioppino, paella, bouillabaisse and so much more! Call ahead and we'll have it ready for you! Crab dip, Crab artichoke dip. Crab stuffed salmon & shrimp stuffed salmon made daily. 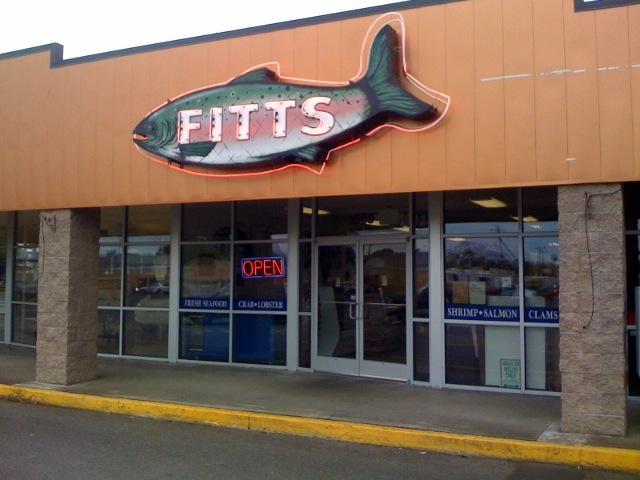 Fitts began retailing fresh fish to the Willamette Valley in 1901, from downtown Salem. 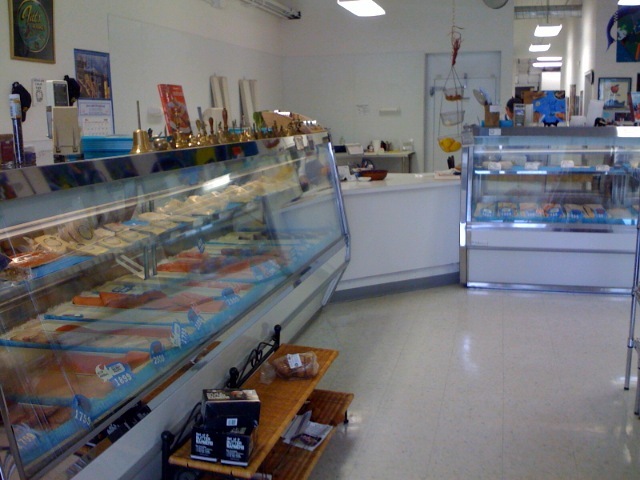 Still a family owned and operated business, Fitts specializes in fresh seafood from the northwest and around the world. Fitts also carries a variety of free range beef and pork from Lonely Lanes in Mount Angel, natural cheeses from the Willamette Valley Cheese in West Salem, free range chicken Ranger brand, and a variety of free range game and poultry from the northwest. One of our many services includes special call in orders. Call ahead and we will have your order ready and waiting for you to pick up at your convenience.